Back by popular demand following 2 sell-out shows in January! 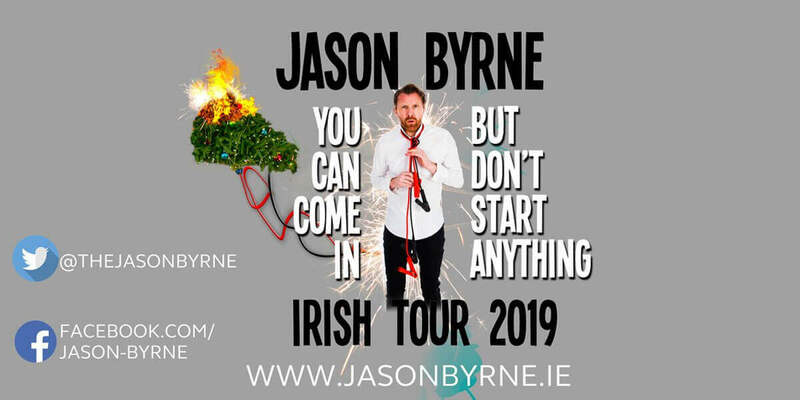 Jason Byrne – You Can Come In, But Don't Start Anything. A brand new show from ‘The Outright King of Live Comedy' – The Times. The star of ‘Ireland's Got Talent', Jason Byrne is one the most exciting live comedy performers in the world. What he achieves on a stage cannot be adequately described by audience members, critics or fellow comics. Thus his legendary shows become a secret shared experience among his audience. Every night stars are born, friendships are formed, mascara is ruined and pants are binned. Don't miss the chance to become part of this unique comedy experience but don't forget to bring spare pants.